But it should be under €1. ACROSS THE COUNTRY, motorists are paying an average of €1.26 a litre for petrol and €1.12 for diesel. The good news for motorists, not long removed from paying €1.60, is that the price looks set to come down. The lifting of international sanctions on Iran at the weekend means that supply of oil will vastly outweigh demand this year. “Can it go any lower?” the International Energy Agency has asked in its monthly oil market report. The oil price this week hit lows not seen in 12 years, and is currently trading at or below $29 dollars per barrel. Iran’s return to the oil market, the main reason for continued price weakness, has probably not been fully factored into prices yet, the IEA warned, contradicting many financial analysts. However, despite the savings, Irish motorists should be paying even less, one analyst says. 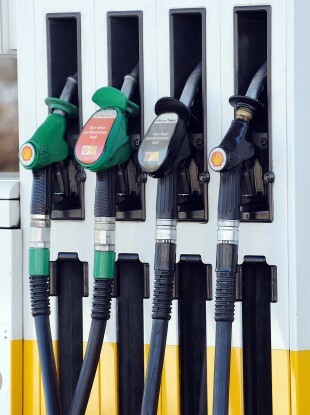 David Horgan of Petrol Resources told RTÉ Drivetime yesterday that the prices should be below €1. If you assumed that everyone was keeping the same percentage as when the oil price was high, you should only be paying 92 cents a litre for petrol and 86 cents for diesel. Today, Pumps.ie has the MCL petrol station in Ballymany, Kildare as the cheapest petrol supplier in the country at €1.17 per litre and Jones Oil in Carrick-On-Shannon as the cheapest diesel supplier at 98.9 cent. Email “Petrol prices look set to keep getting cheaper”. Feedback on “Petrol prices look set to keep getting cheaper”.